HRANA is reporting three apparently unrelated cases relating to Bahais in Tehran. The first concerns Mrs Mahvash `Adaalati-Za’iri (مهوش عدالتی (زائری)), whose home was searched for three hours on November 20. 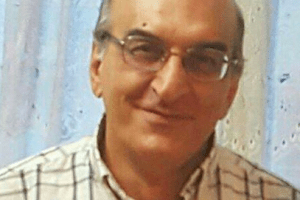 The security agents seized some Bahai books and other personal effects, and issued a summons to attend for interrogation, on an unspecified date. 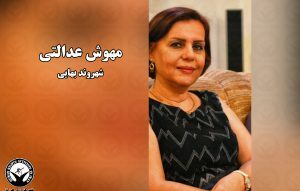 Also on November 20, the home of Mrs. Sepideh Keshaavarz (سپیده کشاورز) was searched, some books and electronic devices were seized, and she was arrested: her whereabouts are unknown. On November 18, security forces arrested Shahrzaad Nazifi (شهرزاد نظیفی), a well-known sportswoman and trainer in women’s motorcross. It is 400 pages, most of them in bilingual Persian/English format. This is the third bilingual book in modern Iranian Studies that I have done, and the second for the Iranian Studies Series. The works in this volume are three of Abdu’l-Baha’s socio-political essays: The Secret of Divine Civilization, Selections from A Traveller´s Narrative and The Art of Governance. There is about 80 pages of introduction outlining the historical setting and the authors and actors that Baha’u’llah and Abdu’l-Baha knew. There are also translator’s notes on various textual issues, where a short footnote would not suffice, and an index. According to Bahai News (Persian) and Gold News, security agents and agents from the Office of Public Places raided and shut down eight Bahai-owned businesses in Karaj, 35 in Sari, seven in Nowshahr, 6 in Tonekabon, one each in Fereydunkenar and Amol, two in Bahnemir, three in Chalus, five in Bandar Abbas and 29 Bahai-owned businesses in Qaemshahr. In recent days, seventeen Baha’is in Yazd were arrested in raids on homes, conducted without a search warrant. Security agents climbed over the gate of a house in Yazd belonging to Mr. Sahil Rouhani-Fard and Mr. Azzatullah Khorram (سهیل روحانی فرد و عزت الله خرم). They arrested all those present (the number is not stated), and searched the house. Mr. Rouhani-Fard was previously imprisoned for two years because of his Bahai beliefs. The sequence of events and scale of the raids is not entirely clear from these reports. A Facebook report from Bahai News states that Sahil Rouhani-Fard and Mr. Azzatullah Khorram were freed from detention on August 4. It is possible that a number of their friends visited them to congratulate them on their release, and the raids followed this gathering. Bahai Community News, May 2, 2016. On May 1, local authorities closed down one Bahai-run business in Sari and five Bahai businesses in Ramsar. Both these centres lie in the province of Mazandaran, where 12 other Bahai-run businesses have been closed in the past week. This brings the total number of Bahai businesses closed in the past month, in Iran as a whole, to 39: 16 in Qaem Shahr, two in Babol, three in Tenakabon, five in Babolsar, two in Bahnamir, five in Fereydunkenar, and the six mentioned in this new report. All the closures appear to be related to the observance of Bahai festival days of Ridvan, and are contrary to Article 23 of the Constitution which forbids investigations of individuals’ religious beliefs, and also contrary to the regulations which allow businesses (except essential services) to close for 15 days per year without notifying the authorities. According to a HRANA report, all the closures have been done in the absence of the owners, without written notice or informing the trades guild in advance. In Qaemshahr, authorities have told the Bahais that they cannot be accepted as residents and their businesses would be shut down, because they are Bahais and therefore have security files. One interesting aspect is that the Office of Public Places in Babolsar had told the Bahai businesses there that they would not be closed if they left their lights burning or the shop shutters raised during the Bahai Holy Days. It is not clear whether they complied (there is no reason why they should not) and were shut down anyway, or if they failed to comply. However this does suggest that the issue for the local authorities in Babolsar is that, on Bahai Holy Days, there should be no obvious sign in the commercial district of the number of Bahai-run businesses in the town. In other towns however, the closures are part of a general pattern of persecuting the Bahais at any opportunity. In 1934, when the Shah wished to close down the Bahai schools in Iran, he used the observance of Bahai Holy Days as an excuse. Bahai News (Persian, facebook), January 26, 2016. Shahnam Jadhbani ( شهنام جذبانی ) from Minudasht and Shayda Qodousi (شيدا قدوسي) from Gorgan were each sentenced to 11 years in prison. Farah Tebyanian (فرح تبيانيان), Puna Sana’i ( پونه ثنایی), Mona Amri Hesari (مونا امري حصاري), Behnam Hassani (بهنام حسني), Parisa Shahidi ( پریسا شهیدی ), Mojdeh Zouhori (مژده ظهوري), Parivash Shoja`i ( پریوش شجاعی ), Tina Mauhabati ( تینا موهبتی ) and Hana Aqiqiyan (هنا عقیقیان) from Gorgan; Shohreh Samimi (شهره صمیمی) from Minudasht; Bita Hedayati (بيتا هدايتي), Vesaq Sana’i ()وثاق سنايي and Hana Kushkabaghi ( هنا کوشکباغی ) from Gonbad-e Qabus were each sentenced to 9 years in prison. Rufeya Pakzadan ( روفیا پاکزادان), Soudabeh Mehdinezhad ( سودابه مهدی نژاد ), Mitra Nouri ( میترا نوری ), Shiva Rouhani ( شیوا روحانی ), Houshmand Dehqan (هوشمند دهقان), Mariyam Dehqan (مريم دهقان) and Nazi Tahqiqi (نازي تحقیقی) from Gorgan, along with Kamelia Bideli (کاملیا بیدلی) and Navid Moalemi (نوید معلمی) from Minudasht were each sentenced to 6 years in prison. These sentences will be reviewed by the Provincial court of review. Three of the women sentenced now have husbands who are already in prison, and who have not been allowed any prison furlough. Their husbands were in a group of seven Bahai men from Gorgan who were sentenced in May 2013. Punah Sana’i is the sister, and Farah Sana’i is the wife, of Fahrmand Sana’i (فرهمند سنایی), who was sentenced to five years; Parisa Shahidi is the wife of Kamal Kashani (کمال کاشانی), also sentenced to five years; and Mojdeh Zouhori is the wife of Farhad Fahandezh (فرهاد فهندژ), who was sentenced to 10 years in prison. 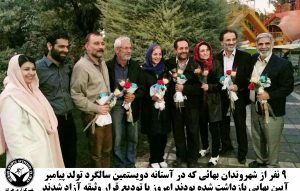 Among the 24 Bahais sentenced on this occasion, Shohreh Samimi is the wife of Shahnam Jadhbani, while Kamelia Bideli is the wife of Navid Moalemi.